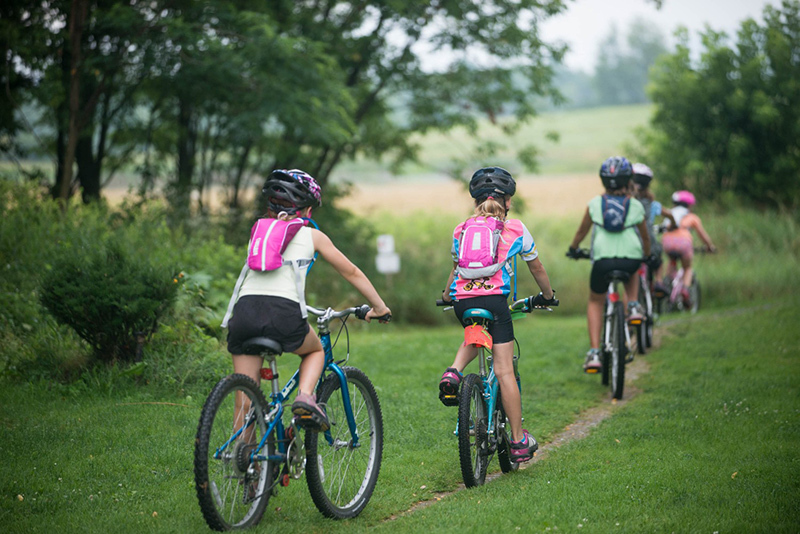 The permanently conserved 393-acre Catamount Community Forest is home to the Catamount Outdoor Family Center, a beloved fixture of the Champlain Valley and recreation destination for over 20,000 neighbors and visitors every year. The land, now owned by the Town of Williston, will serve as a town forest and be managed by the nonprofit Catamount Outdoor Family Center (COFC), for mountain biking, Nordic skiing, environmental education, and other year round public access. Creation of this community forest will safeguard the property’s natural resources including eight acres of wetlands and marshes that support waterfowl and provide important deer wintering habitat.